Stormguard is a family run company established in Macclesfield in 1810. We are now the leader in the UK in the manufacture and supply of rain and draught excluders for doors and windows. The main market sectors we trade in are retail DIY, wholesalers, builder’s merchants, OEM; door set manufacturers, joinery and composite door manufacturers, UPVC fabricators and extruders. We enjoy the challenge of providing simple yet cost effective design solutions to a constantly changing and developing market place. We do this through innovation and a co-operative attitude. From humble beginnings, Stormguard has grown and diversified business activities combining the Stormguard high level rain and draught excluder business with aluminium Rainwater systems for domestic and commercial requirements at Stormguard Rainwater; complete home and public flood defence systems at Stormguard Flood Plan; digital and wide format printing at Spiral Colour and domestic sliding door gear systems with the Slik Sliding Door Gear range available from Stormguard. Stormguard has built its reputation upon good quality, functional, cost effective products and services and commitment to our customers. We have responded to the challenges of 21st Century business in the UK by investment in technology, management systems and people, all of which is required to succeed whilst maintaining our belief in the traditional values of integrity, trust and respect for others. Stormguard Floodplan is a company unlike any other in the Flood Protection industry. We are able to offer a Complete Flood Protection Solution and reliable flood defence systems that will protect any property from flooding. We stand out from others in the industry as our method of installing Flood Defences ensures that when our Floodplan fitters leave your property it is completely protected from flooding. With thousands of Stormguard Floodplan protected homes across the UK, we are proud to always leave our customers satisfied and all of the Flood Protection products come with a 5 year guarantee. We understand that dealing with flood problems is stressful, so when you contact us we will take you through the solution step by step and put you back in control. Stormguard Rainwater Systems offers a fully comprehensive range of extruded, pressed and cast aluminium rainwater systems, including bespoke, for every type of domestic, commercial or industrial building. 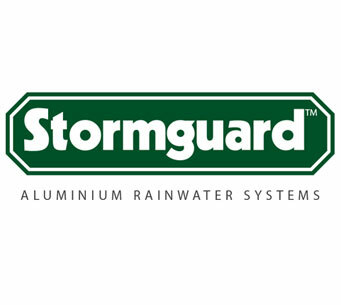 Stormguard Rainwater Systems is a member of the Stormguard Group, whose products have, since the late 19th Century, maintained a reputation for quality in both design and manufacture with Architects and Contractors. Spiral Colour currently employ 20 staff at their factory in Macclesfield and offer print solutions to both the B2C and B2B markets with a specialist focus in wide format services whilst offering a full range of print products. They offer a B2C e-commerce service at http://bannerprintingandroid.co.uk/ and in 2016 launched their specialist hoarding printing service http://www.hoardingprinting.com/.